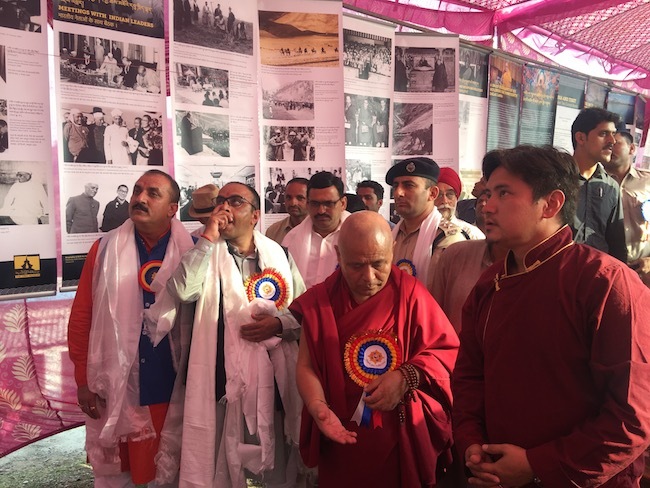 KAMRAO: To commemorate the 60th year of His Holiness the Dalai Lama’s arrival in India, the Tibet Museum of the Department of Information and International Relations, Central Tibetan Administration, showcased photo exhibition featuring two different themes: India and Tibet – Ancient Ties and Current Bond, Biography of His Holiness the 14th Dalai Lama in Kamrao on 3 June. 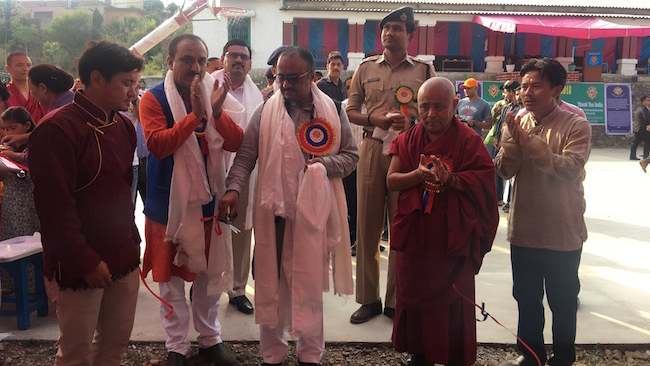 The exhibition was inaugurated by Dr Rajiv Saizal, Social Justice and Empowerment, Corporate Minister of Government of Himachal Pradesh who graced the event as Chief Guest and Acharya Yeshi Phuntsok, Deputy Speaker of Tibetan Parliament in Exile graced as Special Guest. 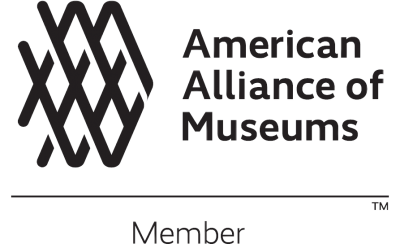 The exhibition was warmly received by local public. 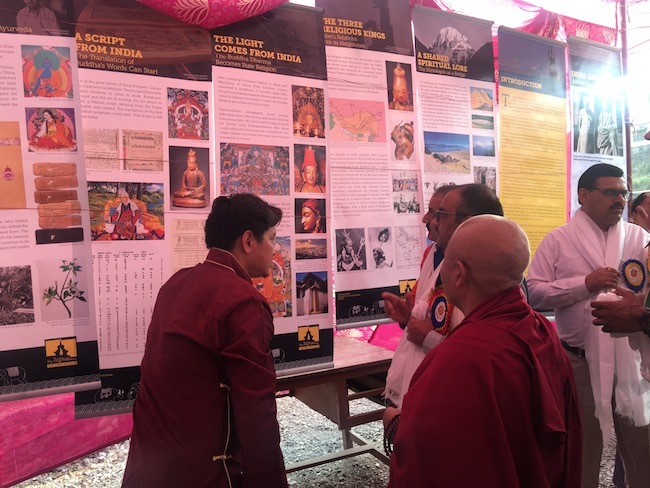 Members of Indian and Tibetan community thronged the exhibition and expressed their joy of learning about the rich culture and tradition through the exhibition panel. 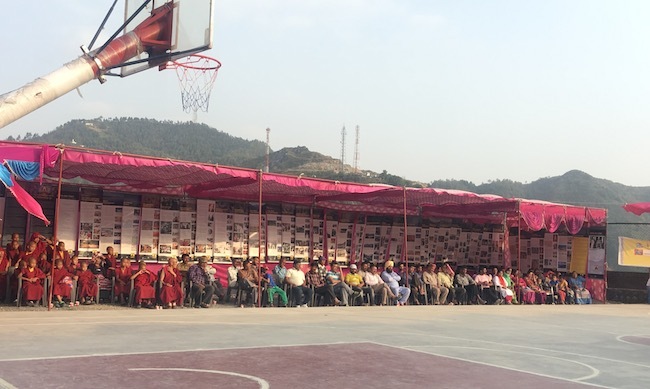 The Chief Guest also showed deep interest and concern on Tibet’s rich culture, tradition and pristine Environment.